Destination San Francisco, California: Planning a city trip to San Francisco and want to keep it eco-friendly? Here are some ideas and reviews of eco-friendly things to do and places to stay. We’ve also included some links to the weather in San Francisco and other useful travel information. Enjoy! When you think of the moniker “The Foggy City”, does an eco-friendly haven jump to mind? San Fransisco, California has come out of the fog to distinguish itself as a formidable leader in the green movement. From a recent ban on the sale of plastic bottles to bio diesel buses, the city is taking noticeable initiatives. Walk into any store or restaurant and you will notice the citywide recycling and composting program. Even the major transportation hubs, such as the Ferry Building, are working to build a community of green go-getters by hosting vendors that support traditional farming practices and the sale of organic products. Many of the organizations throughout the city are committed to giving back to the community and supporting ethical practices. Located in Union Square, the heart of the shopping district, is the Orchard Garden Hotel. The first LEED certified hotel in San Fransisco, it debuts unique features like the use of a room key in order to generate and conserve electricity. If the key isn’t in the discreet power box, the room’s power does not operate. There are also in-room recycling receptacles and water conserving faucets, and the materials that make up the room are recycled or organic. The hotel has a luxury feel without compromising quality and vision. The in-house restaurant, Roots, boasts a sustainably sourced menu with fusion style cuisine. Orchard Garden’s sister hotel is right across the street. It’s also a “green” hotel, but with a funkier vibe. If you are not only committed to a responsible stay, but want lodgings that support the LGBT community as well as women in business, this is the hotel for you. Part of the Kimpton line of hotels, The Triton has been certified by the Green Key Eco-Rating program and they won the National Geo Tourism award from National Geographic. They serve organic coffee, recycle extensively, and $10 of your daily stay goes to either the Trust for Public Land or the Nature Conservancy. To top it off, the hotel rooms have personalities….celebrity personalities. You can stay in the Jerry Garcia or the Kathy Griffin, to name a few. The California Academy of Science is a hub for the conservation minded traveler. 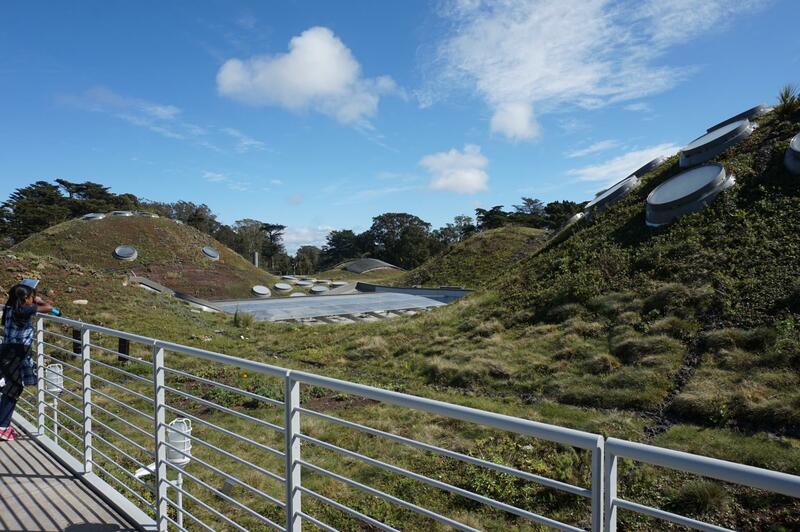 The museum not only has a slue of exhibits that promote sustainability and teach natural resource conservation, but there is also a “living roof” that powers the facility. Visitors can take a ride up to the roof to witness gorgeous views and the eco-playground that makes up the space. There is an atrium in the middle of the roof that allows light to pour down on the indoor rainforest (you heard that right! An indoor rainforest!). Solar panelling, wind measuring and more make this a fun spot for future explorers. Tickets are $35 for adults and $25 for kids. This includes all exhibits and a ticket to the planetarium show. The museum is right across the street from the De’ Young Art Museum, which is another great place to visit for the culture vulture. The De’ Young’s facade is made entirely out of recycled copper and hosts a cafe that only serves food from growers within a 150 mile radius. They also have a beautiful Japanese tea garden that serves organic tea. If you’re visiting for reasons other than tourism, such as, a party, then it’s well worth checking out the fantastic small party venues, san francisco. For a one-stop, sustainable shopping trip, hop on over to the Ferry Building down on Pier 39. The Ferry building has gone through recent renovations and has upgraded to be a substantial farmers market. They are committed to artisan foods and wares that promote local farming practices. Every vendor inside the market has a sustainable mission and sells mostly organic products. The Ferry Building is also working closely with the transit authority to support the revitalization of the waterfront and wildlife that resides in the bay. If you’re looking to book a biking tour you have more options than you can dream of. We’ve narrowed it down to our two favorites. For the latest weather forecast for San Francisco, check weather.com. For all sorts of useful information about San Francisco as travel destination, check wikitravel.org. Still need travel insurance for your upcoming trip to San Francisco? Here’s why World Nomads is our favorite travel insurance for city trips. 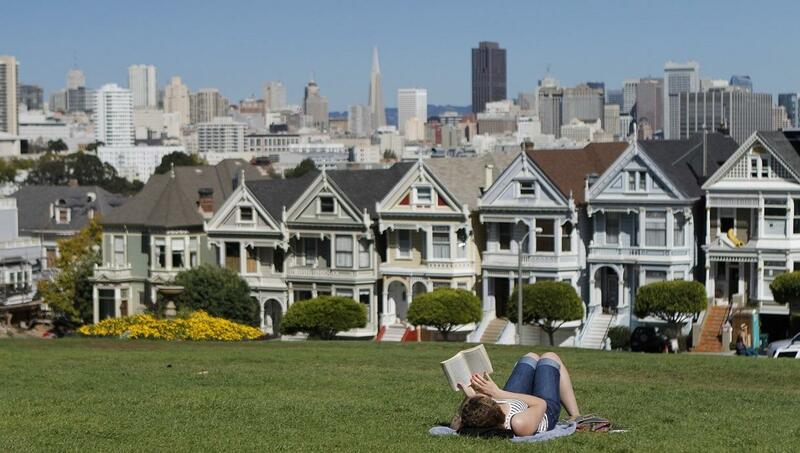 Like our San Francisco recommendations of eco-friendly hotels, tours and urban adventures ? Spread the word!